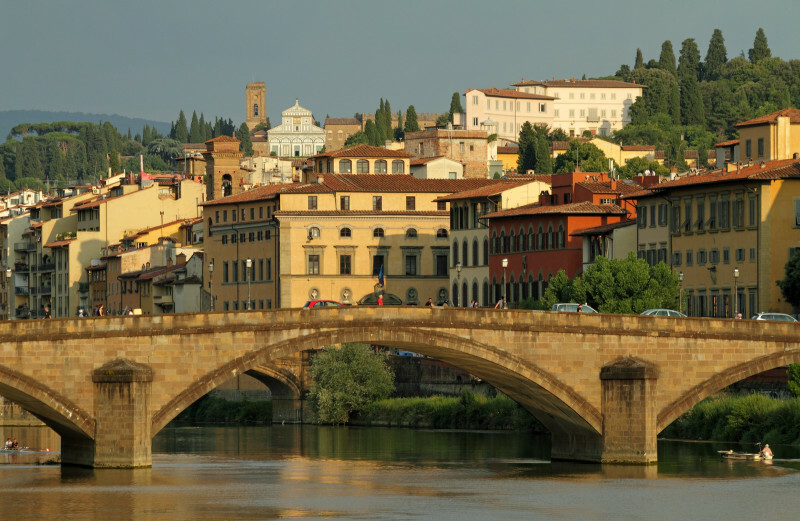 If you have decided to stroll in the Oltrarno, maybe after a tour of the main sights, the left bank has more wonders to offer and allows you to enjoy breathtaking views of the monuments either from the banks of the Arno river or from the hill of San Miniato. Get started just across the Old Bridge at the Church of Santa Felicita. Parish of the Dukes, it was modified when part of the Vasari corridor was built on the front, thus creating an entrance porch for the church. 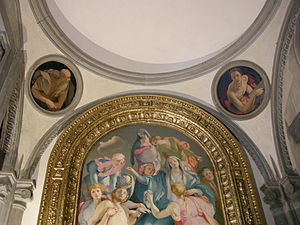 It hosts one of the most stunning and captivating works of the late Renaissance: the Deposition by Jacopo Pontormo. Then enjoy a walk to San Niccolo in the shadows of ancient walls: the Bardini Museum at Piazza dei Mozzi is a great example of what an antiquity dealer did in the XIX century. It is a showroom, a private collection and an endless source of surprises. At the Casa Siviero you will unveil the secrets of an Italian “monuments Man”, spy, or as Florentines call him the “007 of art”. His house witnesses an unextinguished love for the arts and justice. Another Bardini property is the garden and Villa Bardini, accessible from via dei Bardi or from the steep Costa San Giorgio: azaleas, terraces, and temporary art exhibitions make this place an oasis of peace on crowded days. Arriving at the tiny square in front of the church of San Niccolò the scene changes again. It is bursting with cafes, restaurants and wine bars and is a favorite meeting place especially in the summer. 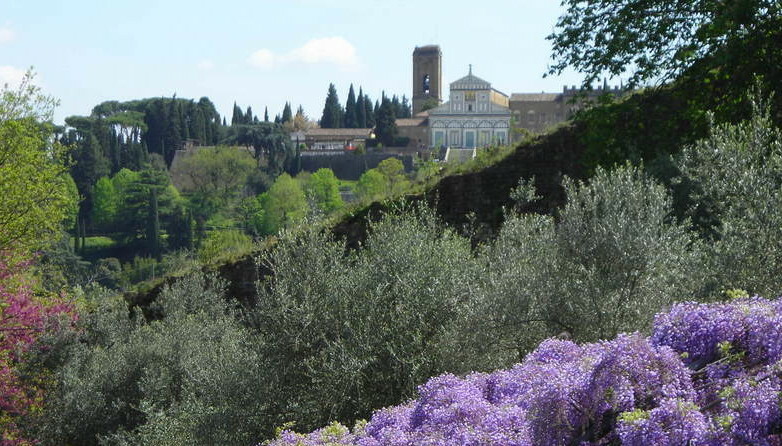 From the church of San Niccolò you can exit the ancient walls and head to the Rose garden (one of our beloved free attractions in Florence) and the Piazzale Michelangelo, weaving among enchanting gardens and villas. Once at Piazzale Michelangelo the staircase to the hilltop continues on up to the Romanesque church of San Miniato al Monte. Founded in the 11th century its dark interior glowing with mosaics and geometric decoration creates a timeless atmosphere. The staircase leading to San Miniato is flanked by a Romantic monumental cemetery and offers great views of the city and of the Arno valley (especially at sunset! ).